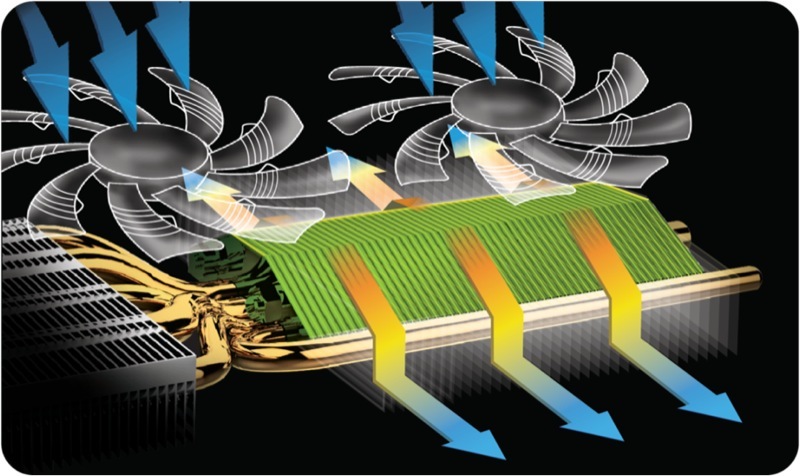 Taipei, Taiwan, 30th May 2014 – GIGABYTE, the leading manufacturer of graphics cards unveils the industry-leading graphics card cooling system during the COMPUTEX 2014. 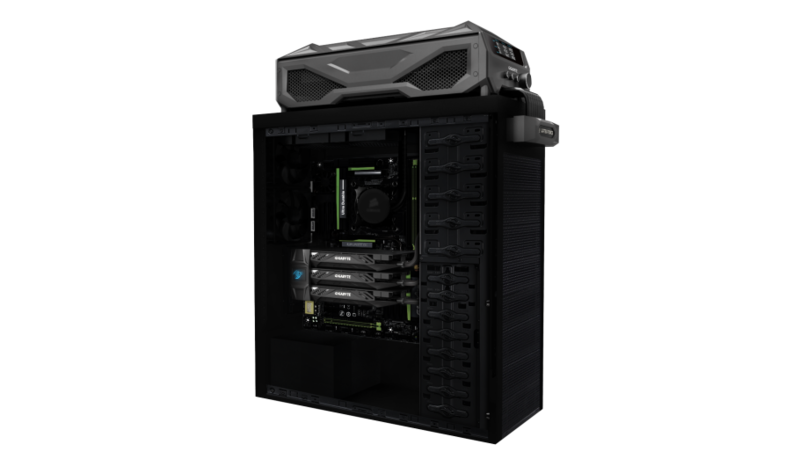 Whatever the preference of air-cooling or liquid-cooling, gamers can find the most outstanding VGA cooling system designs this year! 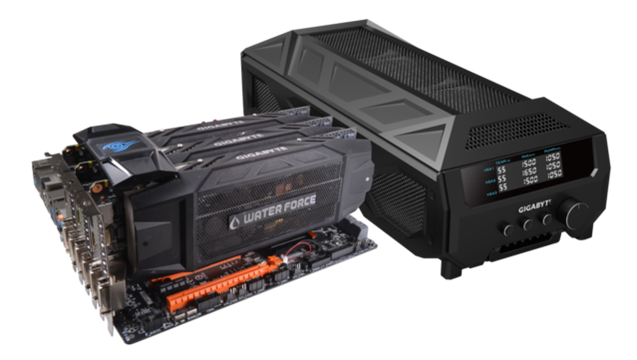 Continuation of the stunning performance of WINDFORCE 450W cooling system, GIGABYTE once again self-breaks and launches the WINDFORCE Air Cooling System 600 Watt Edition. 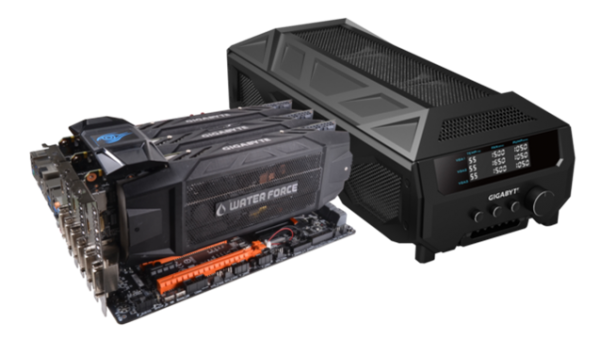 It is not only equipped with the patented “Triangle Cooling” technology, GIGABYTE also re-designs the fans and the fins of the cooling system and using the high-performance composite cooper heat pipes for new WINDFORCE. 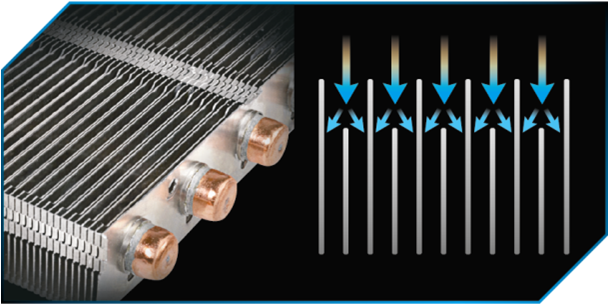 The heat dissipation performance is enhanced up to 33% than the reference card. 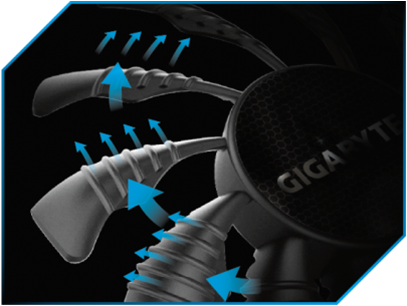 GIGABYTE can proudly announce that WINDFORCE 600 Watt is the best air cooling system for graphics card in the world! 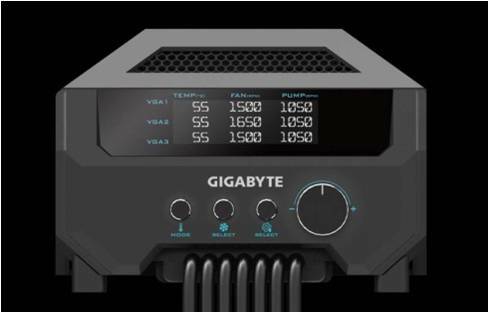 Even more, GIGABYTE introduces WATERFORCE All-in-one External Liquid Cooling System with 3 GeForce GTX 780 Ti, specially designed for the gamers who dream about a silent and super gaming PC. With intuitive control panel, WATERFORCE allows gamers to separately control the GPU temperature, fans speed and pumps speed. 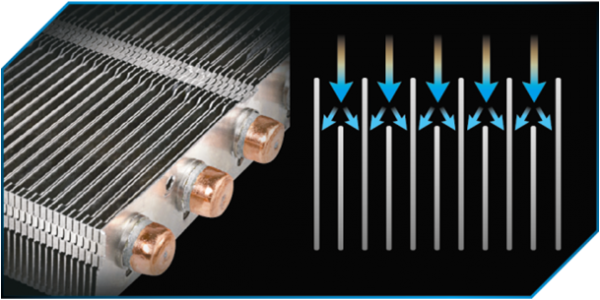 No more noise nightmare or harass of uneven temperatures while using multi graphics cards. With the world’s first 3 way SLI water cooling solution, WATERFORCE, gamers can easily enjoy every moment and victory during the games. 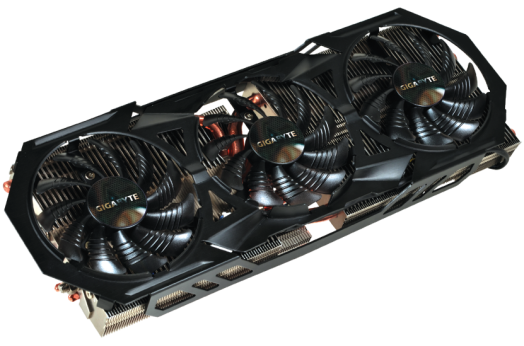 No more noise nightmare or harass of uneven temperatures while using multi graphics cards. No more try & error liquid cooling system DIY. With the world’s 1st 3 way SLI water cooling solution, WATERFORCE, gamers can easily install and enjoy the battles.